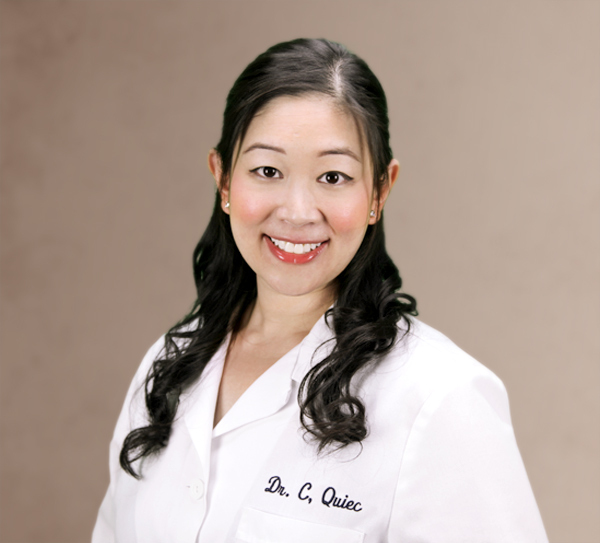 Patients know Dr. Charlyn Quiec by the nickname “Dr. Q.” In over ten years serving the community, she has developed a reputation as a knowledgeable Monrovia dentist, Invisalign ® dentist, and caring, committed professional. When you visit Dr. Q Dental, our team wants you to feel like you are doing more than just going to an appointment. We work hard to make your visit like coming to the home of a friend, where we welcome you inside, make you feel comfortable, and help you with your questions. If you are exploring Invisalign for the first time, it’s likely that you have a lot of questions. You may be looking for a solution to teeth that are out of place, angled, or uneven, but you may be uncertain whether the treatment option is right for you. Dr. Q is a Level II-certified Invisalign dentist. Monrovia patients who choose our practice are receiving dental guidance from a knowledgeable and well-trained source. In your appointment, Dr. Q will learn about the concerns you have and conduct an examination using gentle and precise movements. She will recommend whether Invisalign is a good fit for your needs. Typically, she supports patients with mild or moderate alignment issues and refers more complex cases to an orthodontic partner. The next step is to take X-rays, pictures, and impressions of your teeth to create a three-dimensional digital model. Dr. Q relies on this model to develop a treatment plan that will gradually move your teeth into place. She can use this same software to show you how you might look at each stage of the treatment. Shouldn’t irritate your gums and cheeks. Won’t collect food particles or make brushing and flossing difficult. Allow for easy removal for meals and special occasions. Remain nearly invisible within your mouth. You may experience some discomfort as your teeth adjust to the realignment, but that should go away after a few days (if you are concerned, please contact Dr. Q right away.) Every two weeks or so, you will move to a different set of devices to continue realignment. You can schedule visits for Invisalign checkups at our office about every six weeks to make sure you are progressing towards your goals. The Invisalign treatment is for Monrovia patients who have good dental health but are concerned about the alignment of their teeth, such as an overbite, underbite, crossbite, or gaps between teeth. Dr. Q can advise patients with other dental concerns about their options. In addition, it’s important to remember that Invisalign depends on your wearing the devices as much as possible: about 20 hours per day. While the process offers advantages over braces, it requires your commitment to a better smile. Do I need to wear my aligners all the time? Monrovia Invisalign patients should expect to wear their aligners most of the time, including during sleep. You should take Invisalign devices out for eating meals and snacks. If you have a special occasion coming up, it’s okay to remove the aligners for a short time. The removability of Invisalign is both a huge advantage over traditional braces… and a potential problem. It gives you the flexibility to go without aligners as needed, but it’s up to you as a patient to make sure that you are wearing them to get the most from your investment. Being fitted for Invisalign does not hurt. Some Monrovia Invisalign patients do have discomfort when they move between new aligners, as their teeth are accommodating to a new position. Practically speaking, you can expect that you will have less discomfort using Invisalign than you would when wearing braces if only because there are no metal fixtures to poke or irritate your skin. Many people won’t notice that you’re wearing Invisalign when you smile; the aligners are made of a clear, thin plastic that blends in well with your mouth. You may find speaking normally a bit tricky at first since it takes a while to accommodate the aligners. However, many people find that Invisalign is much less noticeable to others than wearing braces. Dr. Q would be happy to see you as often as you like! However, Invisalign patients will only need to visit her office in Monrovia once every six weeks or so. This is so that she can check on your progress, address any concerns, and help you move towards perfect alignment. Is everyone a good candidate for Invisalign? Many patients are great candidates for the treatment. Dr. Q only treats patients with mild-to-moderate alignment concerns. She refers complex cases to a trusted orthodontist, and she can help you determine the best option for your needs. How long do I need to wear Invisalign? Monrovia patients will experience different outcomes based on their behavior, age, and dental needs. Adults usually complete treatment within a year as long as they are wearing their aligners 20-to-22 hours per day. Teens can expect treatment to last about the same amount of time as it would wearing braces… only without the challenge of dealing with wires and brackets. If you are interested in exploring Invisalign, contact Dr. Q at her office in the Monrovia area by calling 626-599-9818.